Hello everyone! 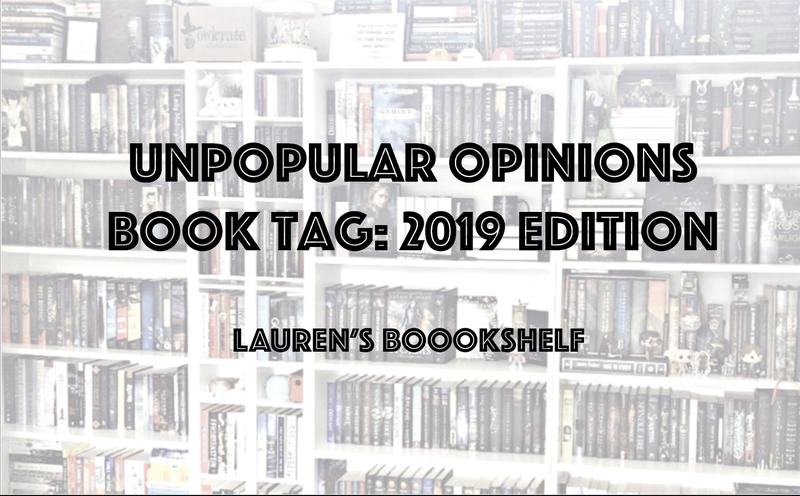 Today I decided to do another Unpopular Opinions Book Tag. I haven't done this tag since March of 2017 and I'm sure some of these answers have changed. This tag was originally created by The Book Archer on YouTube. You can find my first time doing this tag here. And now, let's go ahead and get into this controversial and fun tag! What is a popular book or series you didn't like? 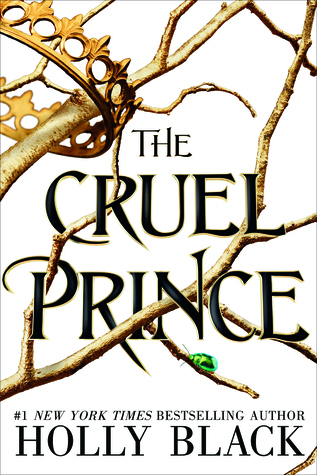 Everyone seems to love The Cruel Prince by Holly Black but I had major problems with it. 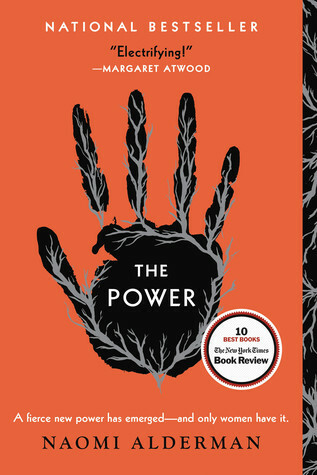 When I read it and finished it, I seriously was wondering if I'd read the same book as everyone else because I didn't think it lived up to the hype at all. I originally gave it 4 stars because I was swayed by the hype, but then kept dropping my rating the more I thought about it until it hit 1 stars. I think right now I'd call it a 2 star book but I have absolutely no interest in reading the next one. You can find my review here. What is a popular book or series that everyone else seems to hate but you love? Twilight by Stephenie Meyer. I think that the book community has chilled on the hate for this series and more people I see on bookstagram are admitting they still like the book, but in the general world there's just a lot of Twilight hate. I've said it before and I'll say it again, people who haven't read the book/watched the movies only hate the series because its primary fanbase is teenage girls. But this isn't the place to get into all of that. Still, Twilight was one of the formational series of my childhood and it will always hold a special place in my heart even though I can see the issues with it now that I'm older. What is a love triangle in a book or series where the main character ended up with the person you did not want them to end up with? I don't really have an answer for this specific question because I haven't really been reading books with love triangles lately and the ones I have been reading have ended with the main character with the person I wanted them with. 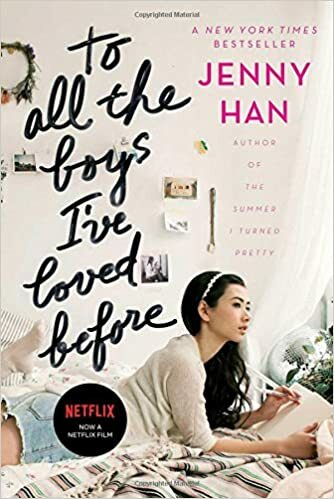 However, I will discuss a love triangle that I didn't like that may contain spoilers for To All the Boys I've Loved Before by Jenny Han: Peter Kavinsky, Lara Jean, and John Ambrose McClaren. I thought that the fact there was a love triangle between these three was a bit ridiculous, honestly. I thought John was nice but there was nothing that I read that drew him and Lara Jean together in way that could justify dropping Peter. I like John, but I think I saw their relationship as more of a friendship than a romantic relationship. What is a popular book genre that you hardly reach for? There's a whole list of these starting with horror. I'm a scaredy cat and don't like it. I also find that a lot of YA thrillers really disappoint me, so I tend to stay away from those and just thrillers in general. I haven't read very much historical fiction in my life, though I do have some titles that I'm interested in reading eventually. I also don't reach much for contemporary books. What is a popular or beloved character that you do not like? Prince Cardan from The Cruel Prince. I get that he's supposed to be cruel because it's literally in the title of the book, but what he did in the book went beyond cruel. Just with my personal experiences in my life, I felt as if the justification of abuse that led to a cycle of abuse was handled poorly. Just...if you want my rant thoughts you can find them here. Who is a popular author that you can’t seem to get into? Holly Black and John Green for sure. After reading The Cruel Prince and hearing others talk about Holly's other books, I just don't have any desire to pick up another book by her. I'm sure she's a nice person, but her books aren't for me. And with John Green, I read Paper Towns and it ended up really disappointing me by the end. I also only got about halfway through TFIOS before I put it down and had no desire to finish it even though I was getting through it pretty quickly. I'm going to try again with Turtles All the Way Down for Green, but overall I just don't generally read the genre of books he puts out. What is a popular book trope that you are tired of seeing? The rude or agonized character being "fixed" or "healed" by a female character or through a relationship where they come out a drastically changed person. This is honestly the worst, in my opinion. Girls aren't rehab centers for damaged people, for starters. Also, instead of being fixed and changed, I think learning to live with the bad that's happened and developing good coping mechanisms is better than being magically healed because a 17-year old girl with no psychological experience said they loved you and it'll be okay. What is a popular book or series that you have no interest in reading? Game of Thrones by George R.R. Martin. I tried reading the first book and couldn't get past the first few pages, although that was a few years ago so I'm sure I could do it now. Mostly, I just have no interest in reading the books after starting to watch the show. It's a huge time commitment that I'm not interested in and I would rather watch the show than read the books. Even the show, at times, didn't hold my attention so I'm sure the book would bore me. What is a movie or TV show adaption of a book or series that you like more than the book/s? 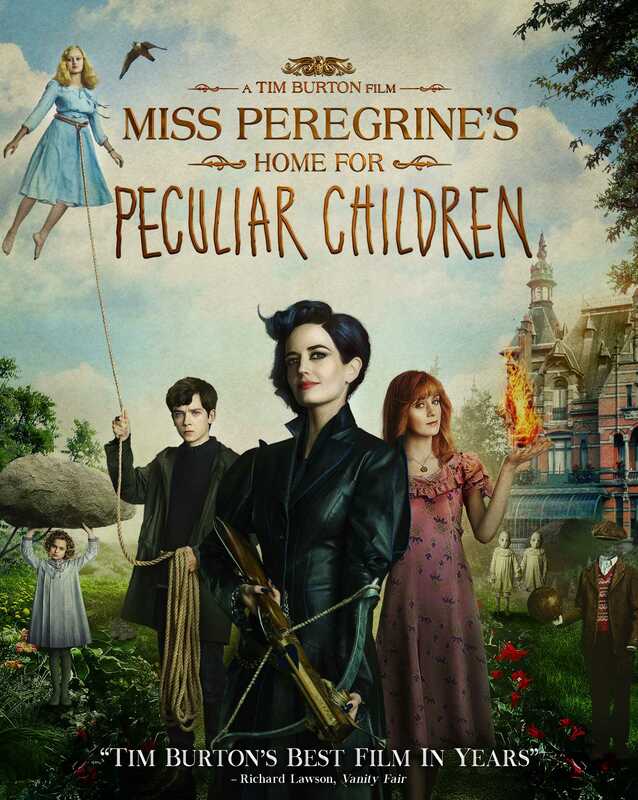 Miss Peregrine's Home for Peculiar Children by Ransom Riggs. I just remember being let down by the book but thinking that the movie was done pretty well. I didn't even like the movie that much, but I still thought it was better than the book. "The Gilded Wolves" International Giveaway!